The Honourable Janet Austin, OBC, was appointed to the Order of British Columbia in 2016. As Lieutenant Governor, she is Chancellor of the Order. Fourteen exceptional British Columbians will be appointed to the Order of British Columbia, the Province’s highest form of recognition, on Thursday, September 20, 2018, in a special ceremony at Government House, the ceremonial home of all British Columbians. The ceremony, taking place from 11:00 am to 12:00 pm, will be available to live stream here. The Order of British Columbia was established by statute on April 21, 1989, to recognize those persons who have served with the greatest distinction and excelled in any field of endeavour benefiting the people of the Province or elsewhere. The Honourable Janet Austin, OBC, was appointed to the Order in 2016, recognized as a “champion for social change”. 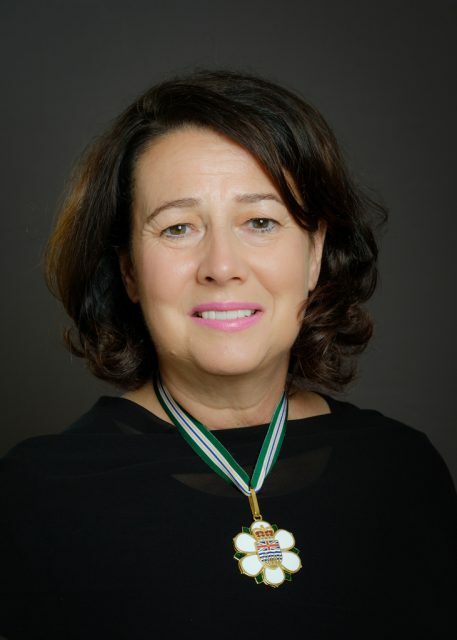 At the ceremony, Her Honour, as Chancellor of the Order of British Columbia, will honour the new members with a medal and a personalized Certificate of Appointment. Learn more about the Order of British Columbia and its members here. Brian Fehr is the founder of a billion-dollar group of companies — BID Group — that provides innovative technical systems and construction services for wood products industries in B.C., across Canada and into the United States. His work supports many of B.C.’s rural economies. 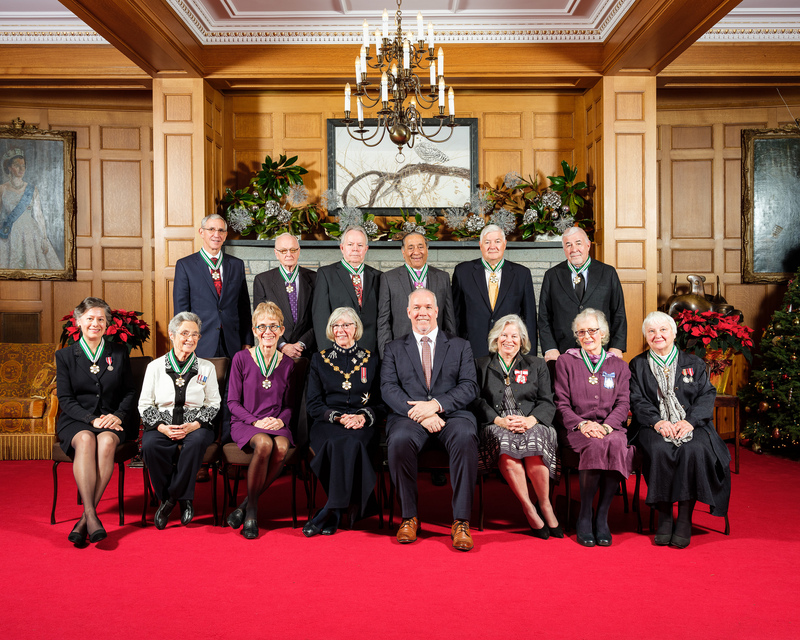 New members of the Order of British Columbia at the 2017 ceremony at Government House. Grand Chief Percy Joe is a hereditary and elected chief of the Scw’exmx, serving his nation for 47 years until his recent retirement. He is one of the founders of the Nicola Valley Institute of Technology — one of only two schools of its kind in the country governed by Indigenous peoples. A champion of rights and title, he created unique reconciliation partnerships and approaches grounded in traditional knowledge and Indigenous wisdom and governance. 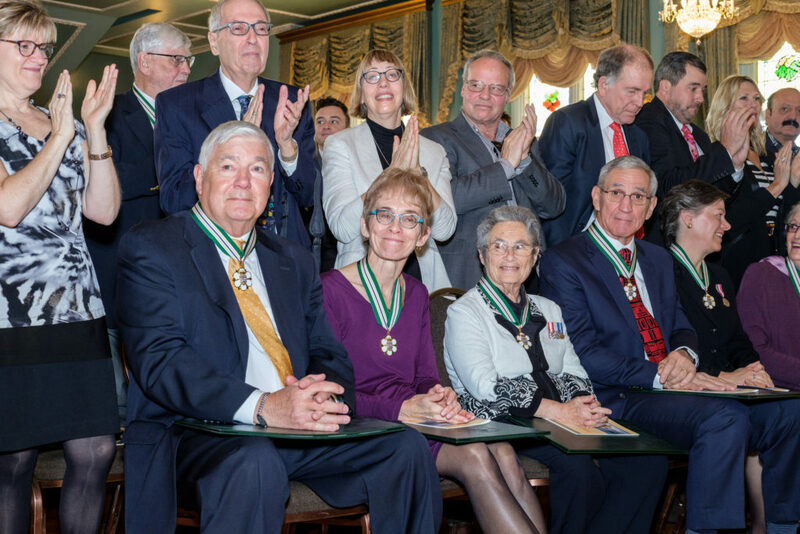 2017 saw the addition of 16 new members to the Order of British Columbia, appointed to the Order by the Honourable Judith Guichon, OBC, 29th Lieutenant Governor of British Columbia. George Melville is chairman and owner of Melville Global Investments Inc., a diversified investment portfolio that includes ownership in Mr. Lube, Naramata Benchland Properties and the SKOOKUM Festival at Stanley Park. He has donated many millions of dollars to charities and provincial organizations, and contributes his leadership skills to many institutions. He also co-founded and previously owned the T&M Group, which included Boston Pizza International Inc., and is now the largest owner of trust units in the Boston Pizza Royalties Income Fund. Melville has been honoured with the Canadian Franchise Association’s Lifetime Achievement Award, recognized as Entrepreneur of the Year, and has been inducted into the Business Laureates of B.C. Hall of Fame as well as the B.C. Restaurants Hall of Fame. Melville is currently serving his second term as chancellor of Kwantlen Polytechnic University.